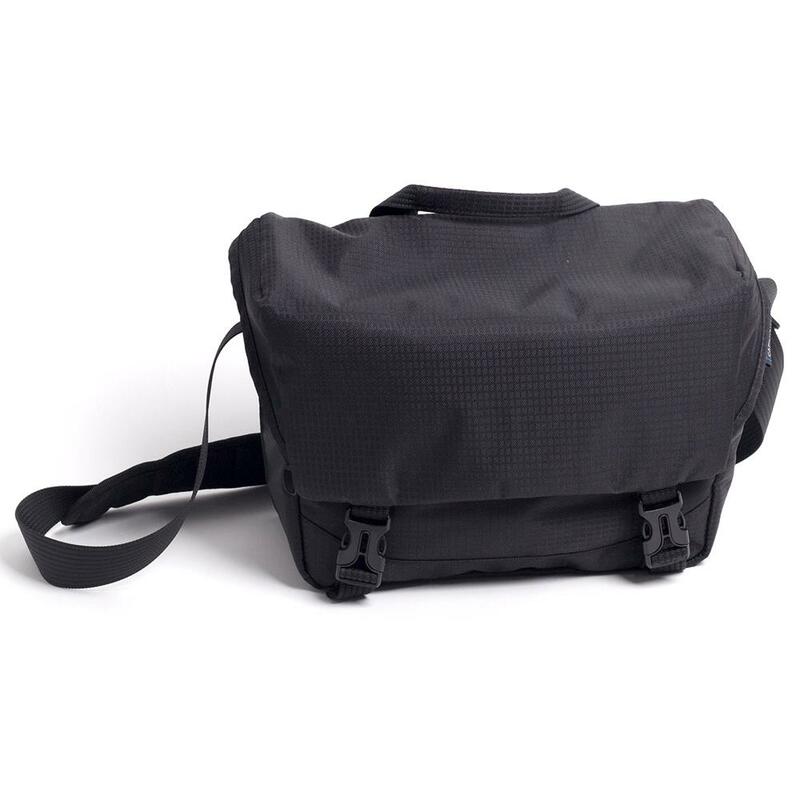 The Cameron Obsidian series of camera bags were designed to be suitable for both the urban explorer and outdoor adventurer, ensuring your equipment is well protected in all environments. The stealth, minimal design is at home on Queen West, while the rugged materials and all-weather covers make them the ideal bags for your next portaging trip through Algonquin Park. Every element of the design was selected with purpose, making the Cameron Obsidian series the perfect choice for your diverse lifestyle and photographic pursuits. 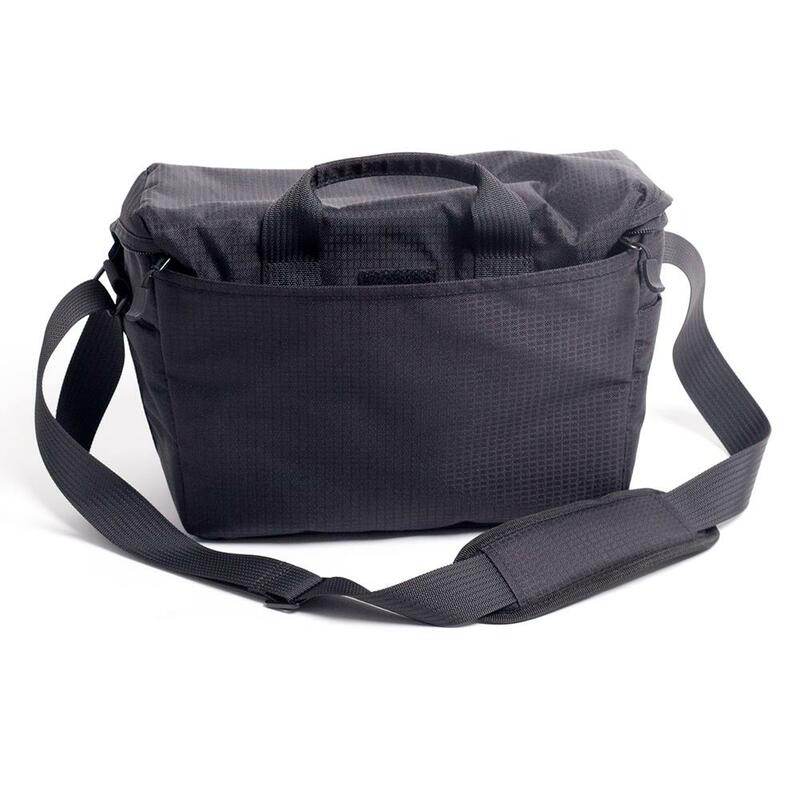 Durable & lightweight fabric, with all-weather cover included. Our Easy-Fit Divider system offers a versatile way to arrange, organize and protect your camera gear and personal items. Convenient, zippered front pocket for storing your phone and photo accessories. Adjustable, padded, strap to ensure comfort during extended days of shooting. 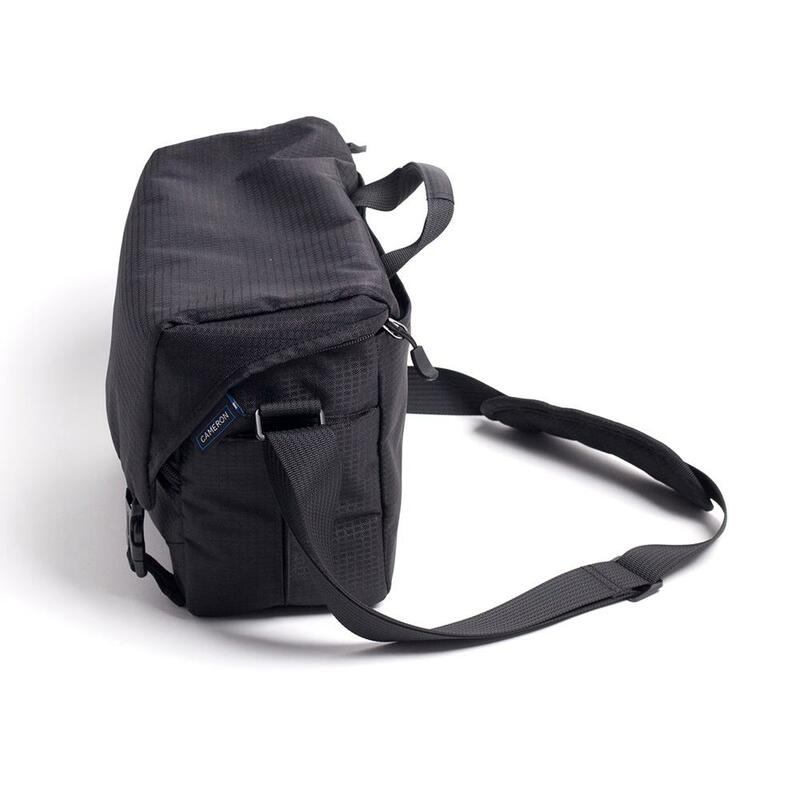 Form-fitting design, with removable camera compartment for convenient everyday use. 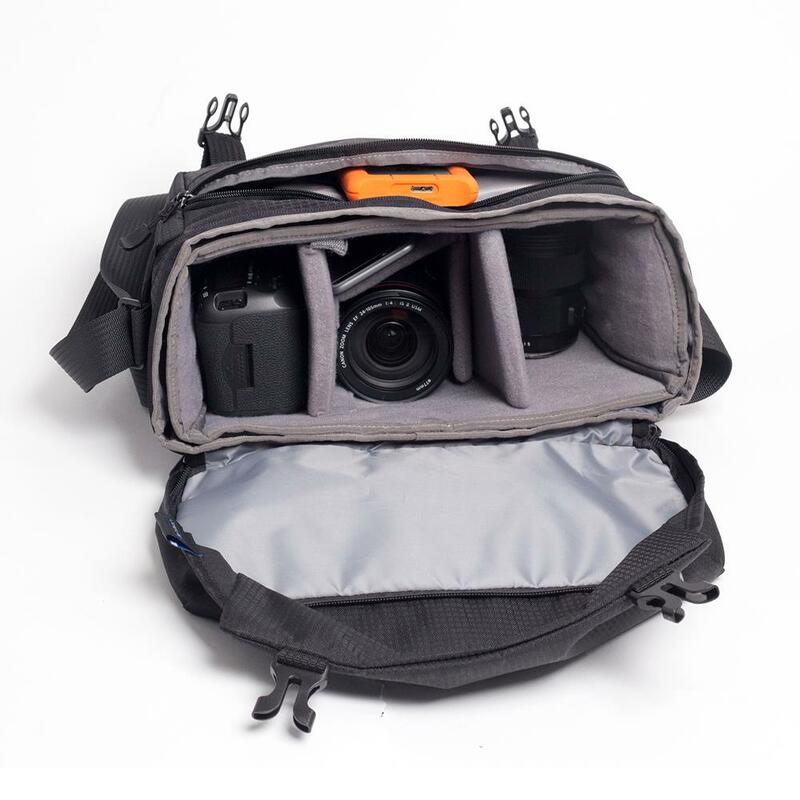 Suitable for full-frame DSLRs (without grip), 2-3 lenses and accessories.